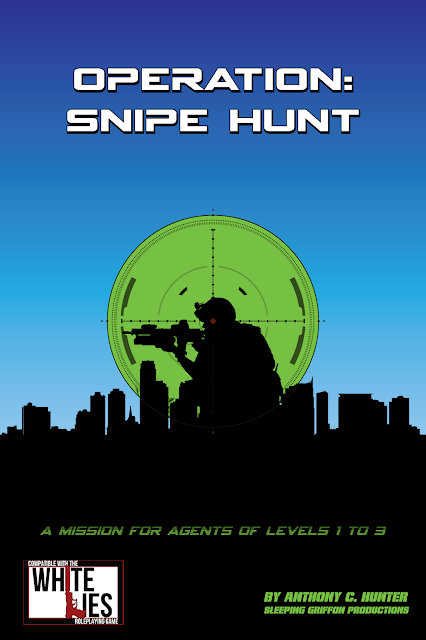 Bill Logan and Larry Moore at DwD Studios​ are releasing a new espionage game called White Lies, scheduled to release this week at the same time as the new Bond movie. I'm jumping on the Bondwagon as well, and will be releasing an adventure for White Lies, entitled Operation Snipe Hunt. Announcement of official release and sample maps and content will follow once the adventure is ready for purchase.